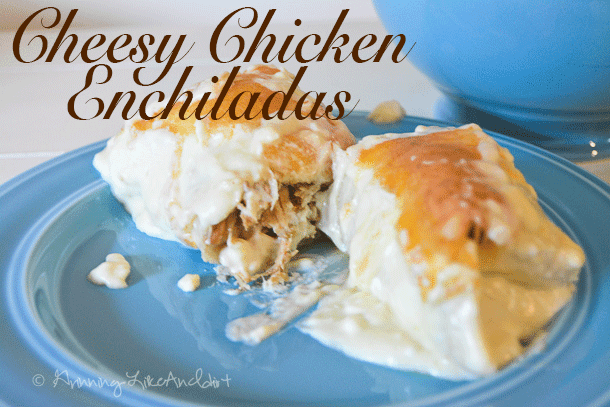 A couple of weeks ago I made some enchiladas that were to die for! I've found that I haven't quite got a handle on scaling the amount of food down and enchiladas the second day aren't as good so I took some to a neighbor's house and they wanted the recipe so I thought I'd share to everyone. Yields 6 Enchiladas (the recipe below shows 4 because I saved some of the meat and cheese for another day, the enchiladas are best the same day they are made). 1. 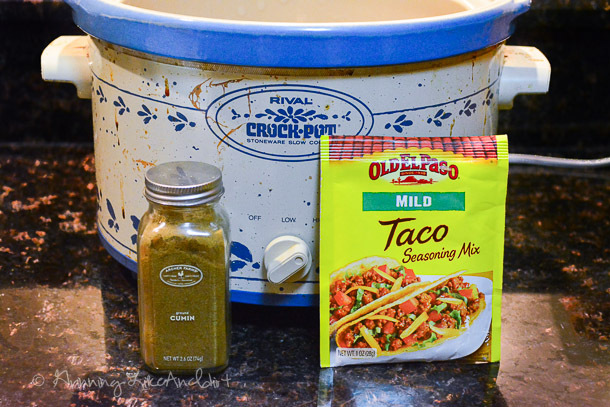 The best enchiladas ever starts off in a crockpot with Taco seasoning, 1 tsp of cumin and 2/3 cup of water and chicken breasts. Cook on high for 4 hours or Low for 6 hours. 2. After the allotted time, you'll be able to take a fork and shred the chicken. 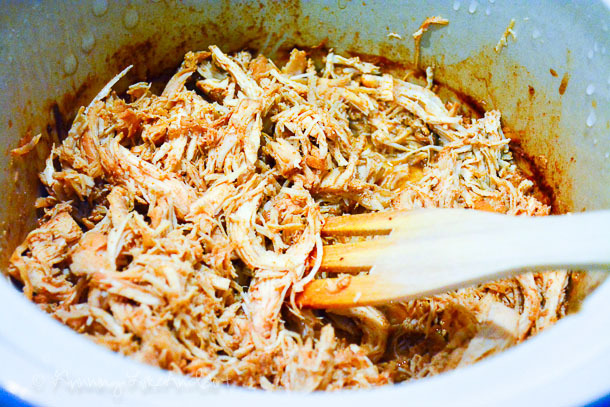 Let the shredded chicken set while you complete the next steps. 3. Saute the Onion in Olive Oil until golden. Then add the remaining Ingredients and still constantly until thick, approximately 10 minutes. 4. 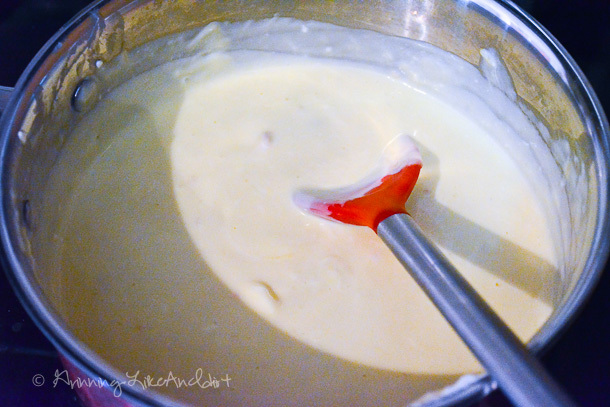 Pour half of the cheese sauce into the backing dish. With a slotted spoon, add the chicken to the tortillas and roll. 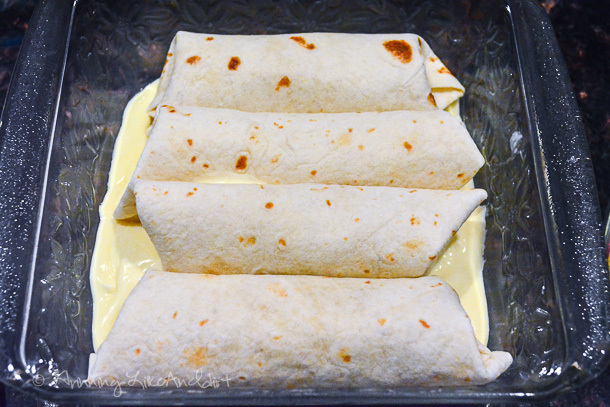 Place the roll into the cheese sauce. 5. 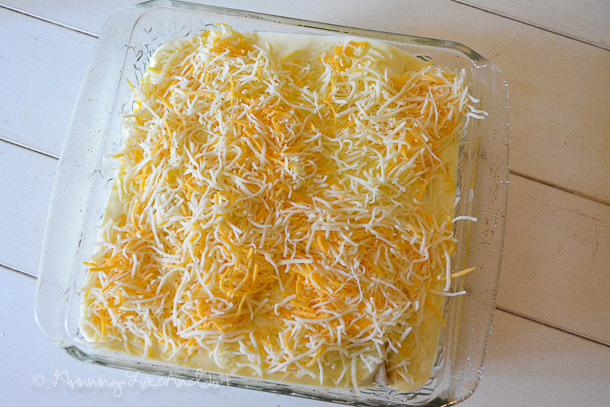 Pour the remaining sauce over the enchiladas and add the 1 1/2 cups of Mexican Shredded Cheese. 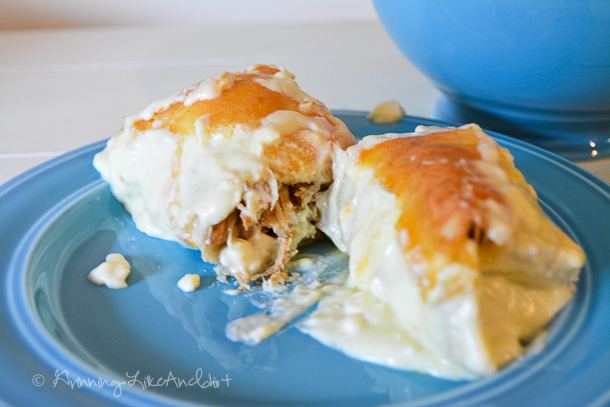 What side dish would you pair with these Cheesy Enchiladas?